Rex is the founder of the Supermac Group and has grown the company from just himself and a couple of employees to permanently employing over 50 people. He has the vision and drives the direction for the group. He loves getting involved in big and complex projects and is very much hands on with the oversite of projects and the staff. Sharon has over 30 years’ experience working in finance. She has been with the Supermac Group for the past 4 years during which it has grown and gone from strength to strength. As a qualified Quantity Surveyor Matt’s work covers cost estimating, project forecasting and cashflows, along with utilising his experience in mechanical and structural engineering. 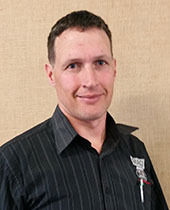 His focus is on ensuring project finances are clear and well documented so that projects run smoothly. 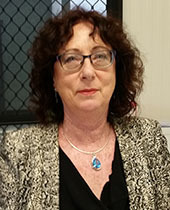 Bronwyn has extensive experience in organising and administering projects. Her special skills are firstly, making sure all the materials, machinery and resources are in the right place at the right time so that the projects and contracts run smoothly and secondly, trouble shooting problems as they occur. 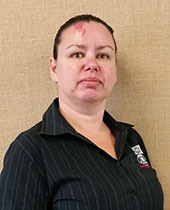 Bronwyn is an excellent point of contact for information on projects and contracts. Maxine’s focus is on the health and safety of all the business entities in the Supermac Group. This covers every aspect from compliance, resources and right through to the health and safety of our workers. 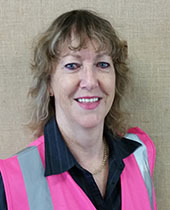 Utilising her knowledge of effective systems and Health and safety training, and her communication skills, Maxine makes it apriority to keep health and safety top of mind for all. 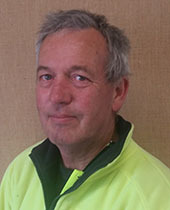 With over 20 years’ experience in the building industry and many of those with Modcom, Brendon has extensive knowledge on the Modcom buildings, their construction, transportation and installation. 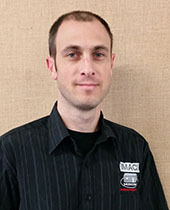 Brendon is responsible for the efficient movement of Modcom buildings, producing specifications for new Modcoms and controlling Supermac Group stock levels, along with managing our vehicle fleet. 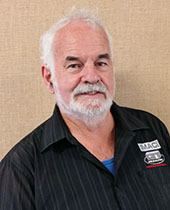 With his mechanical background in heavy machinery, marine and aviation industries spanning 35 years, along with his technical knowledge, Pete will be able to quickly identify which machine will best meet your lifting and access needs. Please contact our friendly customer service team and we can provide you with further information or a no obligation quote. If so, click to join now, and be part of the SUPERMAC GROUP team!